Post Winter Holiday Issue Coming Soon! My holidays turned into a whirlwind of celebrations, stomach flu, and a kicked into overdrive job search. All this meant that I had to put CRAZED! on simmer for a couple weeks. I should have known better than to think I could do everything and still write all the articles by myself that I’d planned for the magazine. I'm learning though, sometimes the hard way, that starting any new venture takes a lot more time to get up and running smoothly. Plus it's not easy finding help when there's no money to pay anybody. It also means if someone says they'd love to write on a topic or current event and they don't actually follow through with that promise, that you can't really get upset with them. Also you then have to figure out how to tell them that the moment passed for that particular article, so you're no longer interested in publishing it if they do decide to submit it. Being an editor isn't easy. Promised Content will be in the next issue. 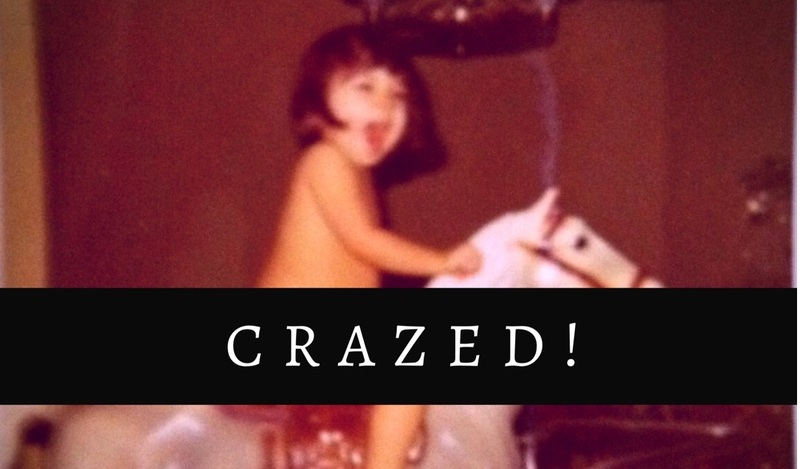 Starting tomorrow, CRAZED! will post content for the latest issue. In the coming week, our reviews of Ellyn and Robbie’s newest album, “Skywriting With Glitter,” and Rick Lupert's new book, “Donut Famine,” will be up. I also will post the long delayed part 2 of my personal essay on abuse, addiction and sexuality. Trump continues to provide more material than I can keep up with, but I probably will write something about his orange twitness in the next couple weeks. I can't give any details yet, but basically I landed a long time dream job with an awesome company. No need to worry about CRAZED! though. It's not going anywhere.